Midfielder Kishore Arya, 16, makes history of sort by becoming India's first ever NGO hockey player to make it to any Indian team. The 16-year old from Delhi has been included in the India's Sub-Junior Asia Cup team, which starts this Sunday in Dhaka, Bangladesh. 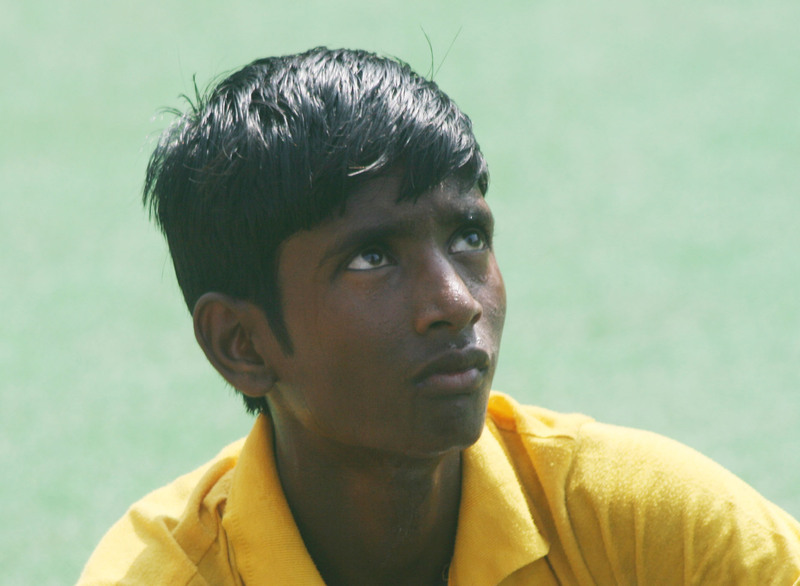 Kishore Arya is a product of Delhi based NGO One Thousand Hockey Legs which seeks to introduce the sport of hockey to at least 500 school kids each year. Presently an incumbent of recently commenced National Hockey Academy, Kishore started his hockey at Government Boys Senior Secondary School, Saket, in South Delhi where hockey was introduced by the NGO in 2010. The lanky left-half represented the same NGO team in the Baroda and Jammu Sub-Junior Nationals in 2014 and 2015, respectively. Kishore also led Delhi State team in the Junior National Championship (Div B) this year in Ranchi. Kishore is also first player from Delhi in two decades to graduate to national hockey team of any age group. One Thousand Hockey Legs conveys its best wishes to Kishore for the tournament, OTHL's first player to represent India. Dhaka bound Indian Sub-Junior Asia Cup team: Pankaj Kumar Rajak, Tanuj Gulia, Nilam Sanjeep Xess (Captain), Hardik Singh (Vice Captain), Vidhan Patel, Harshdeep Kapoor, Shivam Anand, Dharminder Singh, Kunwardilraj Singh, Rabichandra Singh Moirangthem, Kishore Arya, Harish Mutagar, Dilpreet Singh, Mohammad Umar, Ibungo Singh Konjengbam, Sunny Malik, Shivam Anand, Abhisek.